October 30, 2015, 4:06 p.m. The number of horror movies released each year has increased hugely since the 1930s, at least doubling since the 1960s. 2007 in particular was a golden year for horror – over 100 million tickets sold led to the genre taking a 7% market share. Coupled with the proliferation in number, horror movies have become increasingly violent, graphic and explicit. The harrowing shower scene in Psycho (1960) looked mild by The Texas Chainsaw Massacre&apos;s standards (1974), and the sexual violence of Hostel (2005), briefly popularised in the &apos;gorno&apos; subgenre, would have been unthinkable three decades earlier. The scare tactics might be notched up each year, but YouGov&apos;s halloween horror ranking reveals it&apos;s the satanic terror of The Omen (1976) and The Exorcist (1971) that make them the all-time scariest movies for British people. Paranormal Activity (2007) and The Ring (2002) are the only post-2000 horrors to make the top ten. 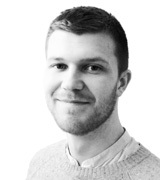 In terms of pure reach, lighter horror makes for a larger audience – Jaws, The Silence of the Lambs, Alien and The Birds are the most-watched, all with over 50% of British people having seen them. But tastes are changing. Only seven movies have a net positive score for scariness among 18-24s, and five of these were made after 1999, while the two scariest movies nation-wide have negative net scariness scores. 25-39 year olds find 15 of the 22 movies scary on balance, and both 40-59s and over-60s find 19 of them scary. 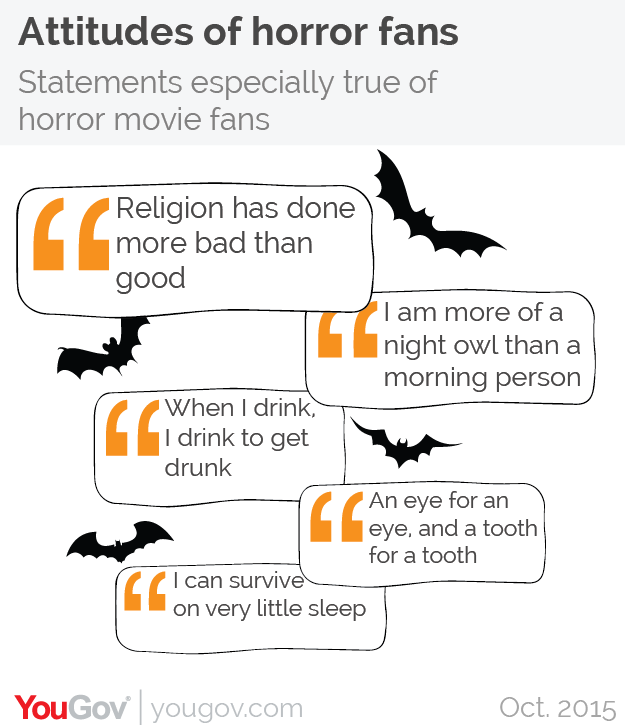 By analysing the profiles data of over 7000 fans of the horror movie genre fans, we have also pulled out attitude statements that are disproportionaly true of horror fans compared to the general population. The religious inversion theme of popular horrors chimes with this group for a reason – they tend to see religion as having created more harm than good throughout history – and these are definitely creatures of the night, tending to say they are night owls and can survive on very little sleep. They also share some of the recklessness of the genre (&apos;when I drink, I drink to get drunk&apos;), along with the rough justice necessary in the netherworlds (&apos;an eye for an eye, and a tooth for a tooth&apos;).